This family of birch trees was painted so loosely I almost wasn't looking at it as I painted. The result is a lot of happy accidents here and there that give it a fresh look. 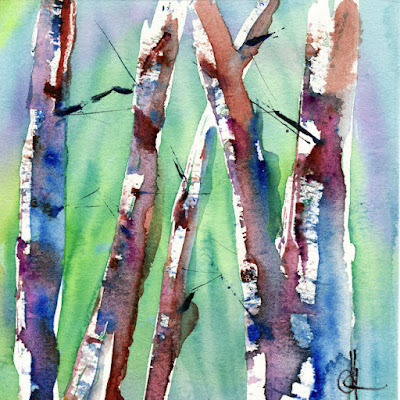 Birch and watercolor: an excellent pairing.